Tom Hanks and Gary Sinise. . HD Wallpaper and background images in the Tom Hanks club tagged: tom hanks gary sinise. 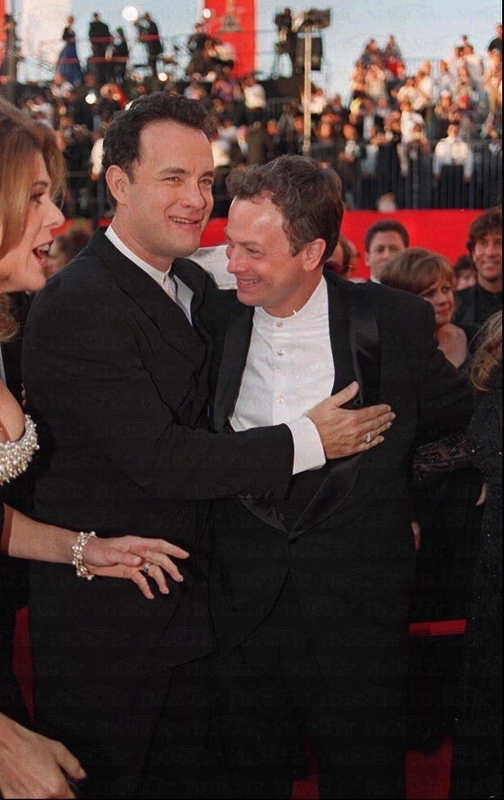 This Tom Hanks photo contains business suit, suit, suit of clothes, dress suit, full dress, tailcoat, tail coat, tails, white tie, and white tie and tails.